Lowers my nail so I don’t poke my eye out using my carb cap. THICK glass as you'd expect from TAG obviously. 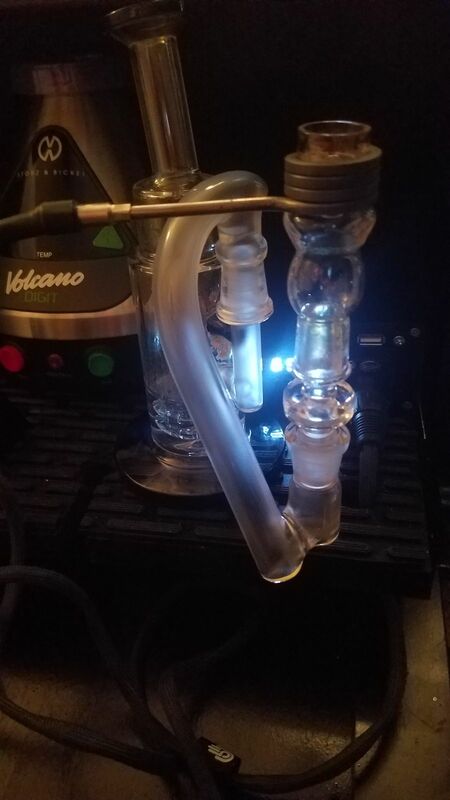 Wide glass tubing for great airflow, unlike those cheap skinny drop downs out there. Quality is SUPERB!!! Large collecter at one end for the fellow 710ers.. QUALITY PRODUCT.. true drop down, accurate advertised height measurements.